We happen to think eyebrows are the most important feature of the face. Not only do your eyebrows frame your face, they also give your face a more symmetrical appearance, so if your eyebrows aren’t symmetrical it could leave the rest of your makeup looking unfinished. So, that’s the reason we think an eyebrow kit is definitely a makeup essential. Once you have shaped your eyebrows and filled them in with an eyebrow pencil and/or some eyebrow powder, you’ll find that the rest of your makeup will look far more polished and complete. After all, your eyebrows frame your face. Our favorite eyebrowkit is definitely the eyebrowkit from Anastasia Beverly Hills. Who doesn’t use mascara? Some days we only use mascara, so it’s definitely a makeup essential. Our suggestion is to use two types of mascara: one mascara for ‘working’ days or days you want to keep your makeup natural. And a mascara for ‘party’ or ‘weekend’ looks. For a natural look we can recommend the Volume Million Lashes from L’Oréal Paris. The Lancome Hypnose mascara is really a must for your partylook. With this mascara you can decide how thick you apply it, since it won’t dry out that much. Tip: apply some mascara in the morning before going to work and when you’re going for a drink after work apply some extra mascara! The best way to find your perfect foundation is to leave it to professionals. Go to a cosmetics store and ask for help finding your foundation. Our tip is to ask for some samples, so you can try different kind of foundations at home. Once you’ve found a foundation, we suggest you apply it (after cleansing and moisturizing your face) with your fingertips. Simply tap the foundation on all the areas and blend it gently with your fingers. In this manner you ensure that you’re applying too much foundation. Chanel Perfection Lumière Velvet is a recommendation. 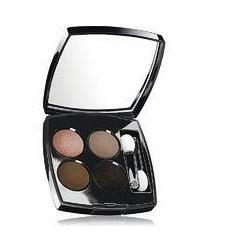 The perfect everyday eyeshadow is just a few shades darker than your skin tone. 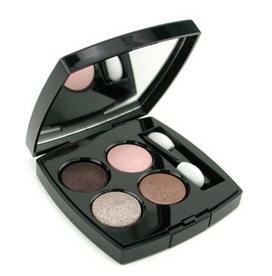 Buy a eyeshadow palette with two or more colors, so you can combine those colors together or wear just one eyeshadow. 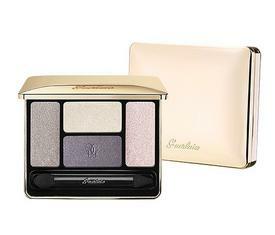 We’re in love with the eyeshadow palettes from Guerlain, because of the most beautiful combination of eyeshadows. Here are some suggestions. Concealer is the only way to get rid of those horrible dark circles under your eyes. First apply some eye cream, then use your ring finger to gently dab some concealer under your eyes. After that you can use the concealer for all your other red spots. 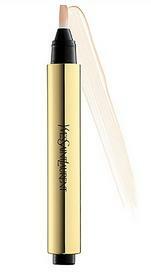 The Touche Éclat from Yves Saint Laurent is maybe the best known concealer/highlighter ever. Once you used the Touch Éclat, you will see it’s a must have for a radiant, flawless skin. These are our makeup essentials. What are your makeup essentials?